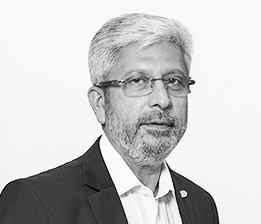 Tariq Chauhan is a Harvard Business School graduate and a professional entrepreneur with close to thirty years of experience that includes various executive-level roles at multinational banks and leading some of the largest businesses in the region. He has held multifaceted leadership roles including board positions in companies and investment funds. Under his leadership of over ten years, EFS Group has risen as a leader and has achieved impressive growth with more than US$ one billion in contracts. 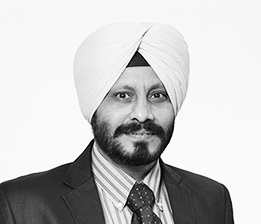 Satinder Singh is a key veteran and has been with EFS since eighteen years of its inception. He has extensive experience of MEP and specialist systems in diverse public & private organizations. 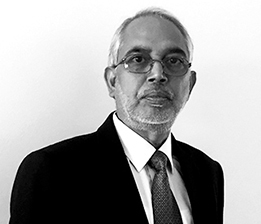 He has over thirty-two years of facilities management experience including operations, transition management processes, audits, mobilization plans in global markets across business vertical like Banking, Healthcare and Aviation. 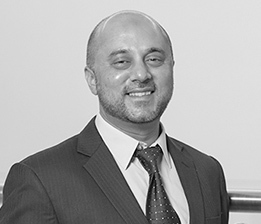 Salim Baig is among EFS’ longest tenured professionals with more than a decade of experience in progressing through senior roles in the operations, project and fit-out management departments. He has over twenty-five years of multinational corporate experience with leadership stints served at prestigious multinational firms. At EFS, Salim currently oversees EFS’s overall Business Development and Operations Management across key markets in Saudi Arabia. Salah El Tawm is a qualified MS Engineer, with a stellar track record of professional Facilities Management regionally. He is a certified LEED Green Associate with progressive global experience in Facilities Management across multiple Industries with an outstanding track record. Salah has multi-disciplinary expertise in Contract Negotiation and Management, Supply Chain, Facilities Management, Business Strategy, Sustainability & Energy Management, Operations Management, and Budget Control and has been an integral part of EFS for more than a decade. Collin Meyers is a supply chain expert with eight remarkable years in the evaluation of the Procurement process at EFS. 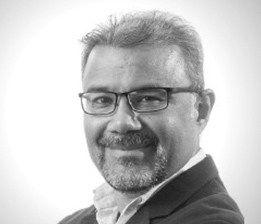 He holds an MSc degree and is a supply chain expert with hands-on experience spanning over thirty years in procurement, warehouse, logistics & fleet management. Collin’s expertise ranges from logistics, ERP implementation working with several multi-national companies over the years. 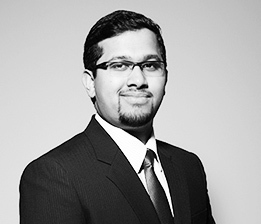 Manzoor Chaudhary is a qualified MBA graduate holding expertise in Health, Safety and Welfare Management. He is an accomplished professional in managing versatile HSE functions of Organizations for the past twenty-five years. At EFS, Manzoor leads the Service Assurance Team wherein IMS & CRM also come under his scope of management and has tenured with EFS for more than five years. Khurram Nazeer is a Business Management and Computer Science graduate from the University of Toronto and York University, respectively. He holds international IT experience of twenty-five years in infrastructure design, deployment, management and operations at healthcare, consulting firms and financial organizations. 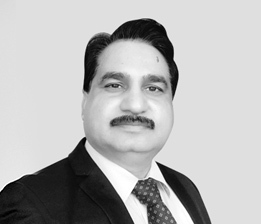 At EFS, Khurram leads and manages a diverse team of IT professionals to oversee and implement technological advancements to develop and enhance the IT infrastructure of the organization. Reshmaa Hasnani holds dual Masters in Business Administration and Change Management from the University of Edinburgh and the University of Bradford, UK, respectively. She has also successfully completed the Personnel Practice Course Certification from the Chartered Institute of Personnel & Development, UK. Reshmaa is an accomplished professional with an experience of building organizational capability and elevating business performance in matrix organizations for the past fifteen years. At EFS, she is actively responsible for managing all facets of corporate services. Raju is a Chartered Accountant with over 16 years’ management experience, including 11 years in the Middle East across various industries including facility management, real estate, trading, contracting and manufacturing. carrying on roles in finance, commercial, operational, property management and administration. Bassel Ghoubar is an associate member of the Dubai International Arbitration Centre (DIAC) and holds a Bachelor’s degree in Law. 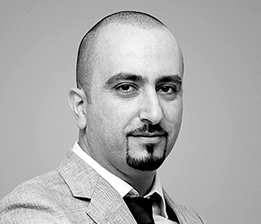 Bassel is a highly accomplished legal professional with ten years’ experience of litigation and general practice including but limited to civil, commercial, corporate, real estate, criminal cases at different litigation proceedings. 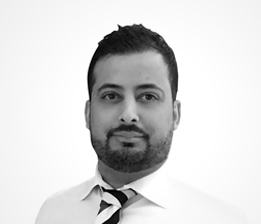 For over two years, Bassel acts as a legal counsel and directs and advises the organization on compliance and legalities across all the operating companies. Saad Yousuf is a qualified engineer with a Master’s degree in Facilities Management from University of Westminster, UK. He is an expert in the development and delivery of FM services to the oil & gas industry. 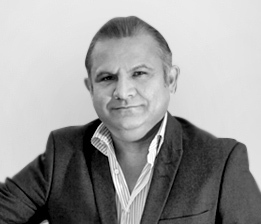 Saad has over 16 years’ global FM experience GCC, UK and Pakistan. He has served EFS for more than five years and is a step ahead in Operations Management, Team Building, Estimation, Benchmarking, Cost Saving Initiatives, Negotiation and Occupational Health. Basil is an ex-Marine Engineer with over 38 years of experience. He is a Member of the Royal Institute of Chartered Surveyors (MRICS), and has worked for several prominent multinationals in the fields of Heavy Engineering, Hotels and Hospitality Services, Real Estate, Projects and Facilities Management. Taher Jhanjharya is a CPA (USA) and a management graduate from the Indian Institute of Management (IIM). He is an experienced finance professional with over twelve years of global experience across Canada and UAE managing core finance and investment functions including investor relations, financial planning, banking & treasury management, investments, acquisitions and systems and risk management. Taher has been an integral part of EFS for over eight years and has progressed through multiple levels during his tenure in the finance domain. Dana Al Hasan is a competent professional with double majors in Finance and Business Development from York University, Canada along with 2017 MEIRC certification in Business Development. Dana is a Business Development expert with a track record of over 10 years securing profitable business opportunities regionally. At EFS, Dana has applied her extensive know-how in the conversion of business pipelines into winning bids, networking and Client Relationship Management for over four years. Ananya Mundakal is an Associate Chartered Marketer from the Chartered School of Marketing (CIM) and is currently pursuing her MBA specializing in Finance & Marketing from Hult International Business School. 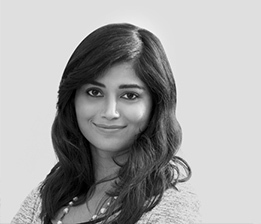 Ananya is a Corporate Communications Professional with over 10 years of experience in Investor Relations, Marketing Communications, Brand Management and Public Relations. At EFS, Ananya has steered corporate communication activities at EFS for over three years through strategic communications, a strong professional network and innovative thinking. Nick is a highly qualified professional with significant HR experience specialized in sectors such as Food and Beverages, Technical Recruitment, Engineering, Manufacturing, Construction, FMCG and Supply Chain. He has built longstanding relationships with key figures within the industry and introduced candidates from graduate through to senior director level nationwide. 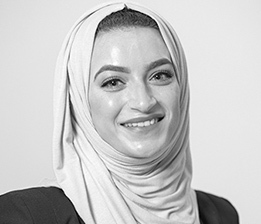 Najwa Makhlouf is a registered member of the British Psychological Society and has an integrated sixteen years of experience varying from hospitality, to facility management, into learning & development and instructional design. She is an accredited facility management professional and a master certified trainer who drives the staff performance under different competencies. Najwa is a part of EFS for the past eight years. 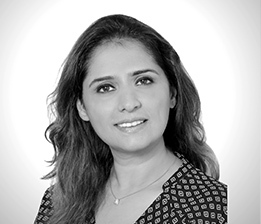 Sarika Singh is a CA with diversified expertise in Auditing, Finance and Accounts. She holds over thirteen years of experience with international exposure across multiple industries such as Manufacturing, Oil & Gas, Metals & Mining and Telecommunication. Sarika comes with expertise of Financial Controlling & Management, Cash Management, Internal Audit, MIS, IFRS Reporting, Risk Assurance, Fraud & Forensic, GST Implementation, Risk Management, Treasury & Corporate Finance.